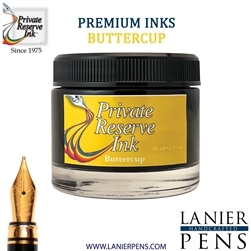 For the fountain pen lovers who own a Lanier Handcrafted Pen, you’ll find a wide range of fountain pen ink selected just for our handcrafted fountain pens. For ease of use, you will want to try our Private Reserve Fountain Pen Cartridges, for a more classic writing experience our Fountain Pen Ink Bottles are a great choice. Lanier Pen’s offer a wide range of fountain pen ink colors that have non-clogging formulation for excellent coverage and smooth flowing. If you enjoy using fountain pen ink for your classic fountain pens and are a left hand writer, then our ultra fast drying fountain pen inks make writing easy, and mess-free. With the fast dry formulation, you’ll never have to worry about the ink pooling up on your important documents. 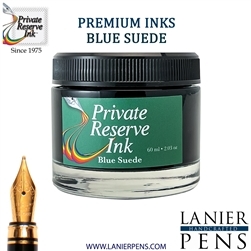 Our fast dry fountain pen inks are available in Ultra Black, Midnight Blues and Sherwood Green. 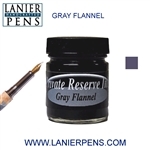 Buy our Fountain Pen Cartridge today.